Liverpool are preparing to head to Bournemouth on Saturday lunchtime and there is quiet optimism from Cherries fans that they can get a result. The Reds are still in touch with Man City at the top of the table, as their strongest-ever start to a Premier League season continues. There is barely time to breathe for Jurgen Klopp and his players at the moment, though, with Napoli and Man United around the corner at Anfield next week. 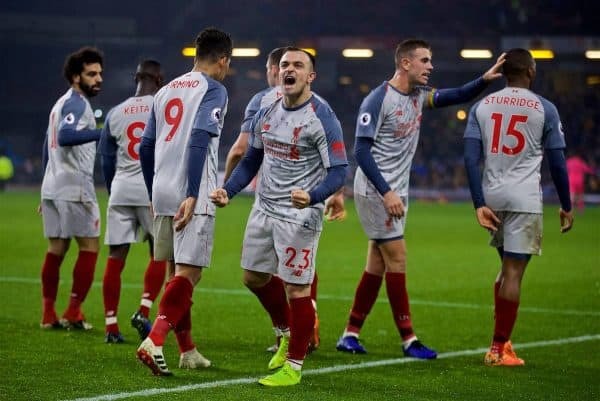 Saturday’s clash with Bournemouth takes precedence for now and it is sure to be another test of Liverpool’s title credentials. 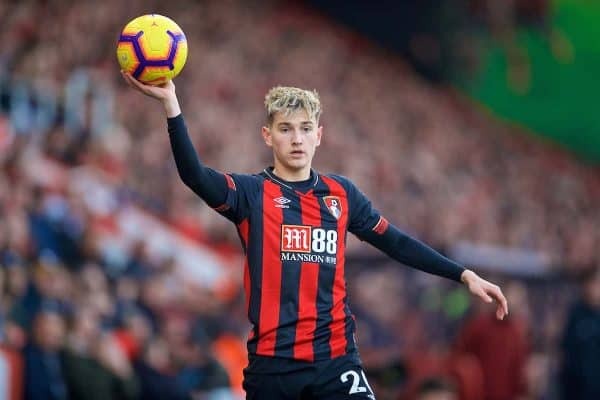 With the match fast approaching, Henry Jackson spoke to Bournemouth fan Neil Grover (@AFCBNG) to hear about how he thinks the game will pan out. Bournemouth sit seventh in the Premier League; how happy are you with their season to date? I would have taken your hand off if you had offered me 23 points at the 15-game mark at the start of the season. Realistically, it leaves us four or five wins from another year at the top table, so barring an apocalyptic wobble we can concentrate on bigger goals now. Interestingly, we are actually worse off on a like-for-like fixture basis compared to last year—for example, we beat Arsenal at home last year but lost this season. Is Eddie Howe still working his magic as impressively as ever? Yes. He has also added something that he has arguably been lacking up until now as well: a successful signing from outside of the UK. He has, until this season, struggled to add to his squad successfully from overseas, but Jefferson Lerma has changed that. The combative record signing has taken to the Premier League like a duck to water, fixing a hole in our team we have had since the League Two days. This was the final piece Howe was missing on his managerial CV, in my opinion. He has been rightly praised for his policy of giving British youth a chance at the top and he has continued this with the signing of the impressive David Brooks from Sheffield United, for what looks like a bargain at £10 million. Do you believe a finish in the European spots is on the cards? That’s the million-pound question. 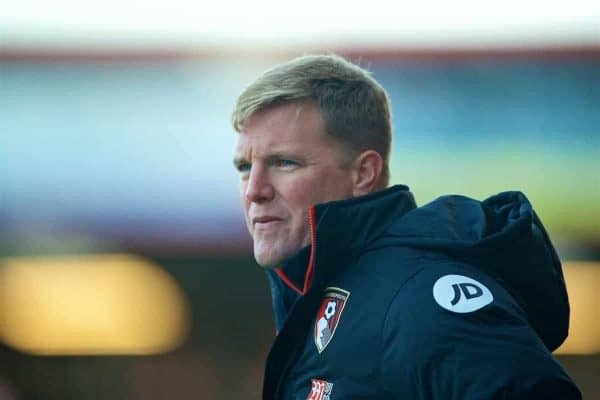 I would love to see us play in Europe and I do believe that is Howe’s long-term goal. At this point, I think our best route to Europe is by cup success, particularly as we are in the quarter-finals of the League Cup. That said, should there be a Europa League spot available for seventh place again, anything is possible. Which three players have stood out most for Bournemouth? Callum Wilson. Eight goals and eight assists plus an England cap and goal. There was a lot of worry around the club that he wouldn’t recover from back-to-back anterior cruciate ligament injuries, but he has. I am a big fan of his and was a huge advocate of him pre-season, for anyone interested in Fantasy Premier League. 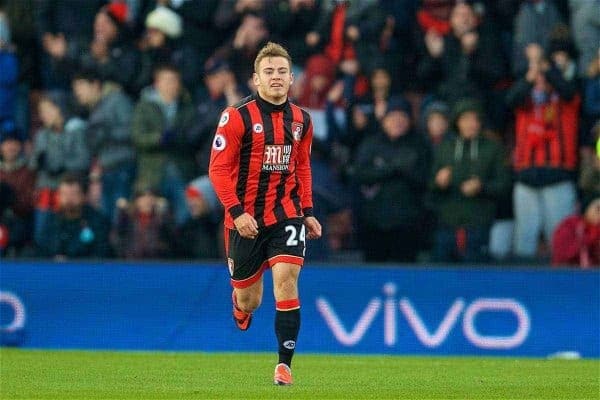 Ryan Fraser. The ‘Wee Man’ had a real watershed moment I am sure most Liverpool fans would like to forget two years ago, as he announced himself to the Premier League after a loan move to Ipswich Town in our inaugural season. He was used in a deeper position last season, which did not help him, but now he is back in an inside forward role and can’t stop getting involved in goals. Four goals and seven assists, and counting. Nathan Ake. The real star of the show at the back, he has been the last man standing too many times and it is very rare that he will be beaten in that role. He would be the first man on my team-sheet, week after week. 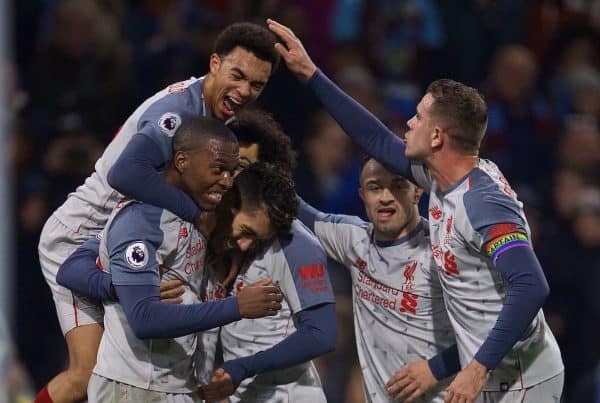 What have you made of Liverpool’s start to 2018/19? It’s hard to argue with 15 games unbeaten! That aside, I think you have recruited very well over the summer and I really rate Alisson. This was typified against Burnley, as he made a top-drawer save then started the move for your third goal. I imagine you would have drawn that game last year. Unfortunately, I just can’t see anyone beating Man City to the title, as their quality and depth is quite frankly ridiculous. Liverpool will be the closest competition in my eyes, and barring when you play us, I will be quietly willing you to keep it as close as possible. Anyone you fear for the Reds on Saturday, in particular? 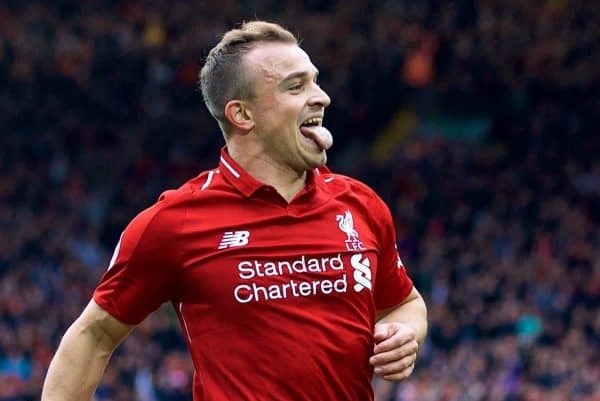 Aside from the obvious choice of Mohamed Salah, whose goal against us last year sticks in the mind as brilliant, I would say Xherdan Shaqiri. He is one of those players that always seems to score against us. Looking ahead to the game, where do you see the key battles taking place? The middle of the park is always interesting when teams who ‘play football’ match up. We have been happier out of possession this year as a conscious tactical move and I would predict us using Lerma and one other in the centre of midfield. Losing Lewis Cook to an ACL injury is a massive blow. It will be interesting to see how you line up, because I wonder if Jurgen Klopp will have one eye on your Champions League clash with Napoli next week. 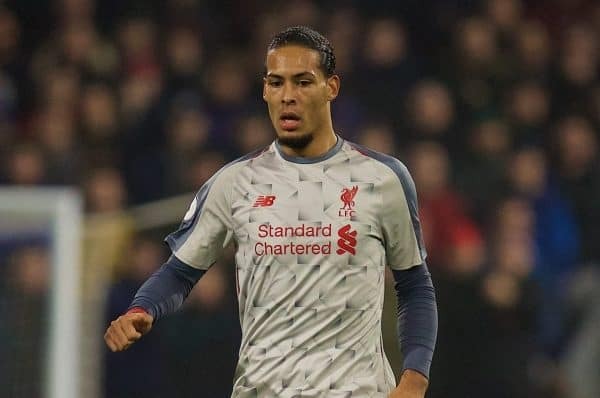 I will also be interested to see the battle of the Dutch centre-backs during attacking set-pieces, with both Virgil van Dijk and Ake likely to go up for them. We have had bad luck against Man United, Arsenal and City in recent weeks and I think we could turn a corner after Tuesday. I can also never predict us to lose! I will go for an entertaining 2-2 draw, with both Wilson and Salah on the scoresheet.